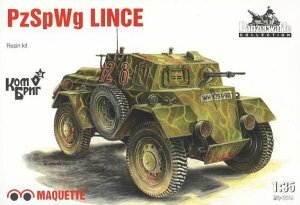 Maquette 1/35 scale Italian "Lince" Armored Car (Panzersp�hwagen Lince) Resin Model Kit. This is a great kit of the relatively unknown Italian "Lynx". 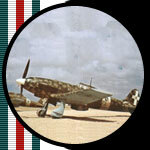 The vehicle was manufactured in Northern Italy from mid-1943 onward. It was used by both the RSI and German troops in Italy and the Balkans up until the surrender in 1945. The kit consists of some very well molded resin components with little flash or residual resin. Judging from the interior of the vehicle, the component molds were CNC machined which speaks well for the manufacturing process. Overall, this is a high quality kit which rivals some of the best in the resin kit field.